With FLOTSAM & JETSAM, ENFORCER And NERVOSA – Tour Dates Announced! DESTRUCTION will join forces with US-based Thrash Metal monsters FLOTSAM & JETSAM, the Swedish Metal maniacs ENFORCER and Brazil’s NERVOSA. “I`m totally thrilled that we got this amazing package together, when you go on tour you wanna give the fans the best they deserve: NERVOSA – for me the best extreme female Metal band by far, ENFORCER are my fave Metal outfit with this pure 80s touch and FLOTSAM and JETSAM are back stronger than ever, we are old mates, finally we will tour together again! Do you have your order in for UNDER ATTACK? 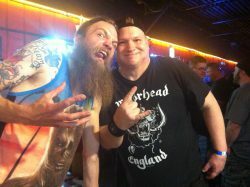 LONG LIVE DESTRUCTION, FLOTSAM AND JETSAM, ENFORCER & NERVOSA. WHOA. 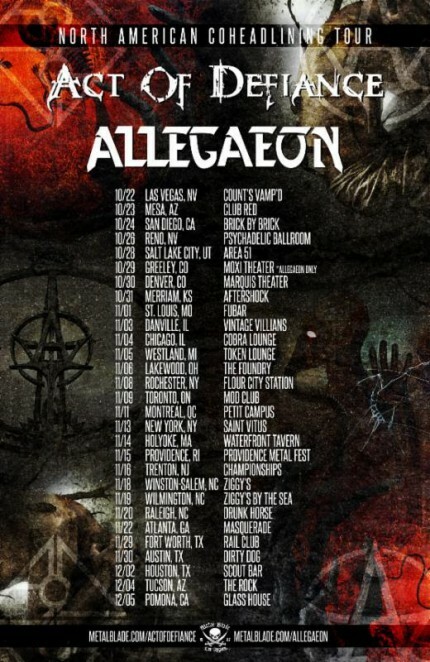 Colorado’s ALLEGAEON will return to the road next week on a co-headlining run with label mates Act Of Defiance. Set to commence in Las Vegas, Nevada on October 22nd, the band will conquer the stages of over two dozen venues including a stop at the Providence Metal Fest in Providence, Rhode Island, the tour coming to a close on December 5th in Pomona, California. ALLEGAEON will be touring in support of their Elements Of The Infinite full-length, released last year via Metal Blade Records. Recorded, mixed and mastered by Dave Otero (Cattle Decapitation, Cephalic Carnage etc.) at Flatline Audio in Colorado, Elements Of The Infinite serves as the band’s most realized and mature release to date; rightfully claiming spots on a medley of year-end lists, including Loudwire.com, MetalSucks.net, and HeavyBlogisHeavy.com. For the first time ever, ALLEGAEON cracked the Billboard Charts and Canadian Charts with the record earning the #25 spot on the Billboard Hard Music Chart, #31 on the Canadian Hard Rock Charts and #141 on the Canadian Digital Music Charts. On the day of release in Canada, the album was #1 on iTunes Metal Chart, #6 on the iTunes Rock Chart and #38 on the iTunes Top 200 Current Album Chart. In the US, the album peaked at #3 on the iTunes Metal Chart. Elements Of The Infinite can be ordered now at http://www.metalblade.com/allegaeon, where the band’s previous videos for “1.618,” “Our Cosmic Casket,” and “Dyson Sphere” are also streaming. 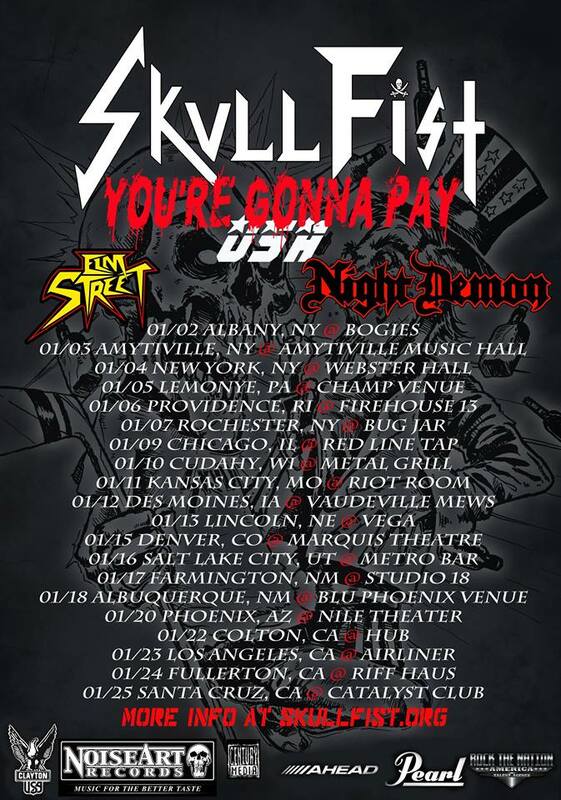 SKULL FIST – Elm Street will be supporting Skull Fist, along with Night Demon in January 2015! Whoa! Check out the tour flyer above for tour dates, cities and venues and/or click on the following links for more info: Skull Fist USA Tour Jan. 2015 and Skull Fist. When Rock legend DORO celebrates her big anniversaries, she will traditionally welcome several true heroes of the Rock and Metal scene. The SCORPIONS, MOTÖRHEAD or SAXON, all of them have been on stage with DORO in front of thousands of fans. And this will also be the case for her 30-years stage anniversary. DORO will be playing two shows on May 02 and May 03, 2014 at CCD-Stadthalle, where her fans can look forward to seeing many superstars. Hansi Kürsch of BLIND GUARDIAN has already confirmed his appearance. As of today it is also confirmed that Miland “Mille” Petrozza of KREATOR and Udo Dirkschneider, the former ACCEPT shouter, will come to Düsseldorf to celebrate DORO’s anniversary together with her. Udo on this: “Of course! For DORO I will always be up front. 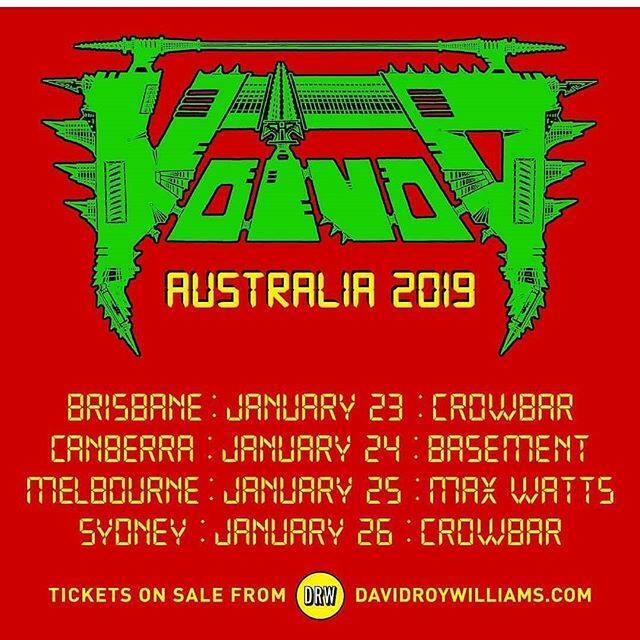 Actually I was planning on being part of her show in Wacken this summer, but I could not make that date.” Thus there will be a return visit on May 02 and May 03, 2014 – as DORO has been sharing stages with Dirkschneider and his band U.D.O. at their stage anniversary in 2012. “I have the most awesome friends and colleagues,” DORO bursts out about the Teutonic trio. With this, the guest list for the celebratory events won’t be closed. 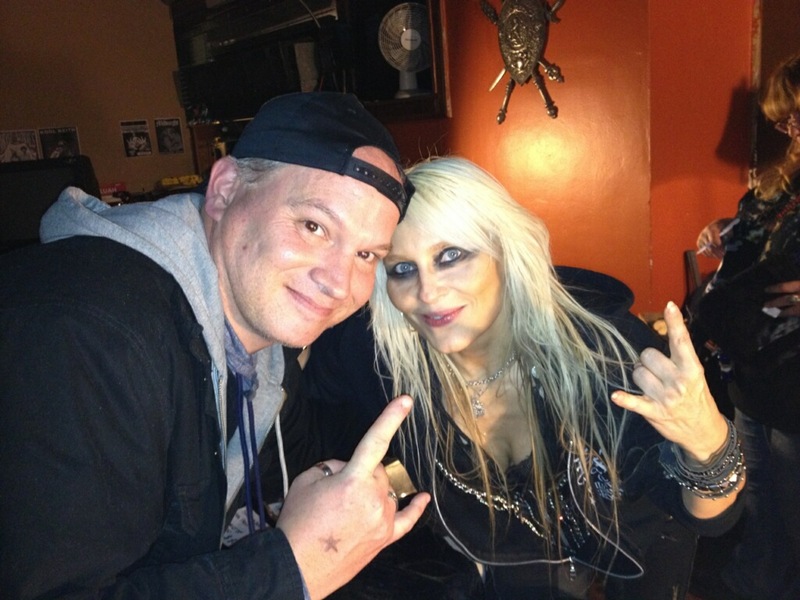 LONG LIVE DORO PESCH, THE QUEEN OF HEAVY METAL.